In order to reflect both our continued international reach and producer name since launch, we made the decision to rebrand as EOS Cafe Block from EOS Cafe Calgary. As a part of this rebranding effort, we have launched new social media assets and a new website, the latter of which hosts our tools, advised dApps, and where interested voters can learn more about our company’s mission, vision and team. To further serve the needs of its Asian supporters, our premier EOS Block Explorer, bloks.io, has been fully translated into Korean and Chinese. 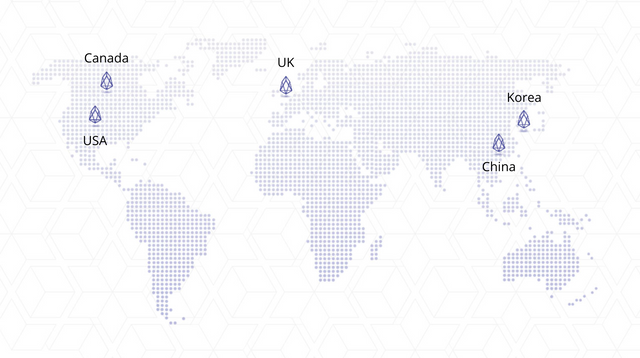 This will be of benefit to EOS token holders around the world, who can explore the bloks.io app in these key languages. We are proud and excited to announce our new name and website, API node services, and language support additions. Our vision is to continue to globally expand while improving the speed and utility of API nodes on the EOS blockchain. 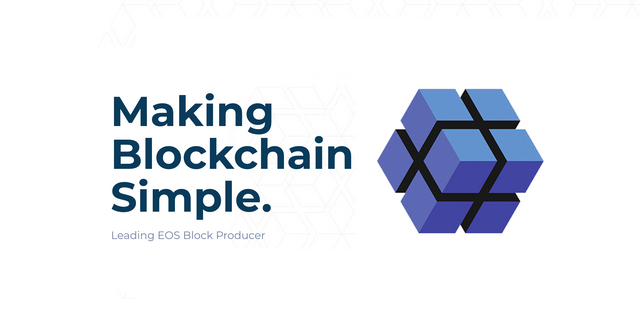 We are proud to fulfil our role as a leading block producer and continue to serve our expanding voter base, by adding value to the EOS ecosystem. This is the start of more forthcoming expansion, and we encourage our supporters to stay tuned and follow us on social media for further developments in the near future! The vision of a decentralized era is one free of middlemen, transaction fees, and bureaucracy. EOS Cafe Block makes this reality by bringing the EOS blockchain to the masses, to industry, and to the world by making blockchain simple. EOS is the first blockchain designed to scale and is the best choice to build a new world on. EOS Cafe Block’s diverse team hails from a variety of backgrounds; including software developers, financial traders, IT professionals, and civil servants — all working together to make its shared vision a reality. 출시 이후국제적인 관심와 생산자 이름을 알기 위한 관심이 지속적으로 이루어지고 있어서, 저희는 EOS Cafe Calgary 에서부터 EOS Cafe Block으로 브랜드를 바꾸기로 결정했습니다. 이러한 새로운 브랜드 개편의 노력의 일환으로, 우리는 새로운 소셜 미디어 계정들과, 새로운 웹사이트를 개설했습니다. 웹사이트에서는 저희가 개발한 툴들과 또한 우리가 현재 조언하는 dApps을 찾아볼 수 있습니다. 그리고 더욱이 우리 회사의 미션, 미전 그리고 팀에 대해서 궁금하시다면은 더 배울 수 있습니다. 아시아 사용자들의 요구를 충족시키기 위해서, 우리의 프리미어 EOS Block Explorer, bloks.io,가 한국어와 중국어로 번역되었습니다. 이러한 주요 언어의 번역이 전세계 EOS 토큰 보유자들에게 유용할 것이며, bloks.io앱을 이런 주요한 언어로도 사용할 수 있을 것입니다. 우리는 우리의 새로운 이름과 웹사이트, API노드 서비스 및 언어 지원추가 사항을 발표하게 되어 기쁩니다. 우리의 비전은 EOS 블록체인의 속도와 유틸리티를 향상시키면서 전 세계적으로 계속해서 확장하는 것 입니다. 우리는 선두적인 블록 생산잘서의 역할을 수행하면서, EOS ecosystem에 가치를 더함으로써, 저희의 투표기반을 확장하면서 봉사 할 수 있는 것에 대해서 자랑스럽게 생각합니다. 이것은 곧 다가올 확장의 시작이고, 우리는 우리 사용자들에게 더 가까운 미래에 다가올 변화를 놓치지 않기 위해서 SNS에서 팔로우 해주세요! 우리의 비전은 중개인, 거래 수수료, 관료주의를 없애는 것이다. EOS Cafe Block은 EOS 블록체인을 대중에게, 산업적으로, 그리고 전 세계에 가져다 줌으러써 이러한 현상을 실현합니다. EOS 규모에 맞게 설계된 최초의 블록체인으로써 앞으로 새로운 세상을 만들기 위한 최고의 선택입니다. EOS Cafe Block 다채로운 침은 소프트웨어 개발자, 금융 거래자, IT전문가, 공무원등 – 다양한 배경을 바탕으로 모두가 함께 공동비전을 현실로 만들기 위해서 일합니다.